Recommended step's thickness 1 5/8" to 2"
Painted steel stringer (powder paint). For other colors, contact our customer service department. Available for winder treads or a landing (a mechanical coupling is required). A reinforcement is necessary at all times. Please refer to reinforcements suggested by Prestige Metal. 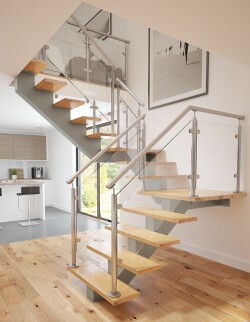 Steel stair stringers: stability and elegance guaranteed! 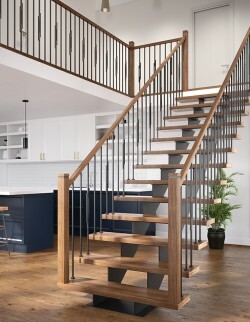 When building your staircase, one of the most important elements to consider is solidity. 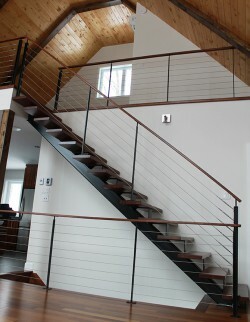 This is why steel stair stringers allow you to design your staircase in style while enjoying increased stability. 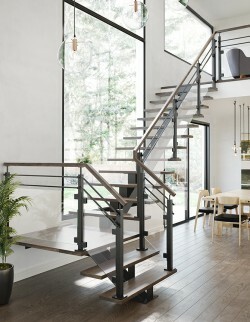 We offer you an exceptional selection of steel stair stringers, available in many colors and finishes, and entirely made in Canada. 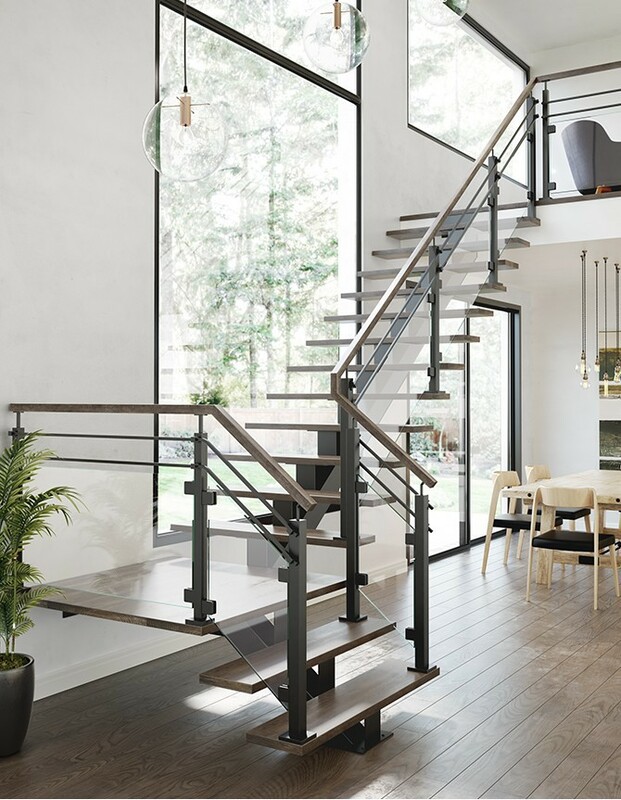 Steel stringers allow you to create the style you desire, either a contemporary staircase, an urban style staircase, or a traditional style staircase with the stair balusters and newel posts of your choice. 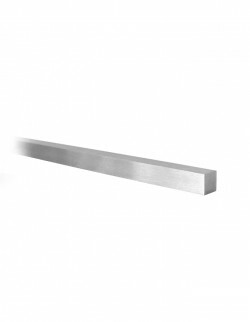 Prestige Metal has been manufacturing steel stringers for more than 20 years and gives you the opportunity to buy your stair stringers online. In addition, you can purchase them at one of our retailers and distributors located throughout Quebec, Canada, and the United States. Be assured that you can count on the collaboration of our shops and retailers for the design and installation of your steel stair stringers.